An attempt by Sassa’s special projects manager and Minister Bathabile Dlamini's points woman in the agency, Zodwa Mvulane, together with Sassa CEO, Pearl Bhengu, to appoint “on an emergency basis” a former “workstream” leader at the cost of an additional R11-million has been turned down by National Treasury. Bhengu and Mvulane justified the expenditure to Treasury by saying it was in line with Sassa’s report to the Constitutional Court that the agency did not have the skills required to facilitate the takeover of the payment of social grants with the South African Post Office in April 2018. By MARIANNE THAMM. Rangewave Consulting, owned by Patrick Monyeki, a former Home Affairs chief whose company pocketed at least R35-million to lead an information and business systems management irregular workstream at Sassa, was set to be paid R11,579,135 in a closed procurement bid for three months’ work. But Bhengu and Mvulane’s approach to Treasury to contract Monyeki’s company has been turned down. In a letter to Bhengu dated 4 January 2018 and, seen by Daily Maverick, National Treasury’s acting Chief Procurement Officer, Willie Mathebula, advised Sassa to procure services through an open competitive bidding process. The letter from Mathebula reminds Bhengu of previous correspondence from Treasury to former Sassa CEO, Thokozani Magwaza, informing him that the workstreams, which top officials have said reported directly to Dlamini, were appointed irregularly. The workstreams were paid over R40-million and were appointed after a task team, hand-picked by Minister Dlamini, had recommended their establishment. Magwaza terminated the workstreams before his sudden resignation in July 2017, only a few months after his appointment to the job. 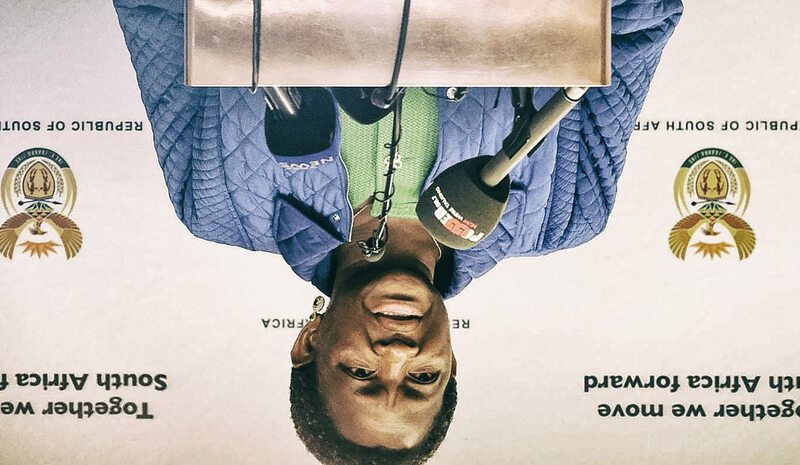 Magwaza has testified at the Section 38 Inquiry into Dlamini’s personal culpability with regard to averting a social grants near-catastrophe in March 2016 when the CPS contract came to an end, that Dlamini’s workstreams had undermined the work of Sassa officials. He said that the workstreams appeared to be shaping the process in such a fashion that CPS would be retained as a service provider. The former CEO has testified that Dlamini’s workstreams acted in essence as parallel structures that reported directly to her. Writing to Bhengu in December last year, Mvulane justified her request for the appointment of Rangewave for at least three months, claiming it was in line with a panel of experts’ report in September 2017 to the Constitutional Court stating that the agency did not have the skills or capacity to work on the transitional deal with the South African Post Office. The panel of experts had recommended that Sassa work with the Government Technical Advisory Centre (GTAC), which is linked to Treasury. Sassa was only able to seek to contract anyone else if the GTAC was unable to assist. Nowhere in Mvulane’s submission to Bhengu to approve the deviation does she mention that Sassa has attempted to contract GTAC. Instead Mvulane has pushed for the appointment of Monyeki’s company for a period “not exceeding three months”. Mvulane set out in her submission to Bhengu that the Sassa project office, through supply chain management, sent a Request for Quotation to Rangewave “on a close procurement process to procure the advisory and technical services on an emergency basis”. She says the “tight deadlines” with regard to the December agreement with SAPO for the taking over of the payments of social grants in April 2018 had resulted in a plan “that requires intense negotiations to unpack the technical aspects of the services”. Her office, said Mvulane, recommended the retention of Rangewave for “continuity, expediency, value as well as precision considering the urgency of the implementation programme”. The services ideally would be procured for at least eight months to allow the phasing-in of both SAPO “and the new cash payment service provider while phasing out CPS”, said Mvulane.